Why choose a West Coast distribution company located in Reno, NV? There are many reasons to choose a West Coast distribution company in Reno. 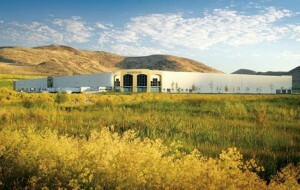 The Reno Nevada area is one of the largest growing regions in the United States for West Coast distribution. Below are several reasons to ship from and store your product at Hopkins Distribution Company. The weather alone is an excellent reason to distribute from the Reno area. Reno offers a relatively dry and mild climate and products stored in this region are not subject to severe changes in weather and humidity. The climate helps provide cool, dry conditions for storing products, while Reno’s low humidity is excellent for box strength and promotes long carton life for your packaging. Reno is considered the distribution hub of the West and is the primary location for companies seeking a centralized distribution point to the western region of the United States. All major western cities are within a 400-800 mile range. If you want your product to be accessible to the 11 major western states, Reno is the right location for your product since your product can reach 51 million people within one day. When your product is available immediately to your customers, costs go down and profits go up. Interstate 80 runs though Reno and leads to Highway Interstate 5 which offers access to the entire West Coast. These major interstate highways reduce delivery time for the region’s less-than-load, truckload and small package carriers. Each of these carrier types has the ability to service major metropolitan cities with overnight service at regular ground delivery rates. Additionally, Reno has an international airport supporting 12 major airlines and access to Union Pacific and Southern Pacific Railroads. The above advantages have led numerous companies to move to the Reno area within the last ten years. Companies such as Amazon, Barnes and Noble, Walmart and Starbucks all choose to do their West Coast distribution from Reno, Nevada. Due to the tremendous volume of shipping in and out of the area, carriers are able to load direct schedules to all major markets, streamlining transit times, reducing claims ratios and cutting out additional re-handling. The result is a more profitable working environment in which your company can operate. If you are looking for a West Coast distribution company, consider looking at Reno. Its location, climate and shipping options have made Reno an ideal area to store and ship your product from. Contact Hopkins Distribution to discuss your specific distribution needs today!